The Indian markets are at high valuation levels as highlighted in our blog: Market Overview. With Nifty trading at PE levels of 24+ many investors are concerned about the high valuation levels that exist in the market. While the froth in valuations is real, there are pockets of opportunities still there for new investors as well as those who missed out the current bull run in small and mid caps which resulted in many multibaggers. The stocks that satisfy the above criteria usually give their investors multibagger returns in the long run. So which are the companies that satisfy these 4 criteria? LTI is a global technology consulting and digital solutions company having more than 250 clients with operations in 28 countries. LTI’s Mosaic platform helps the clients for their mobile, social, analytics, IoT and cloud needs. The EBIDTA margin has increased from 20.71% in FY16 to 20.97% in FY17 while sales have gone up by 11% in the same period from 5568.5 Crores in FY16 to 6182 Crores in FY17. Though the IT space is reeling under rough macro environment, LTI has a business model much different from the TCS and Infosys models. This stock definitely deserves your attention. Multibaggers are usually stocks that were once ignored by everyone on the street! SNL is one of india’s leading needle roller bearings manufacturer having a wide range of needle roller bearings for automotive applications to serve OEMs and Aftermarket both in India and overseas. The company has consistently increased its EBIDTA margin from 27.02% in FY14 to 32.09% in FY17 and the sales in this period have grown from 22.58 Crores in FY14 to 37.7 Crores in FY17 signifying a CAGR of 18%. The Indian bearings market accounts for less than 5% of the global bearings market and this share is expected to go up thereby creating a favorable macro opportunity for the company. Hindustan is a widely read Hindi news paper focused in the Hindi belt region around U.P. and Bihar. 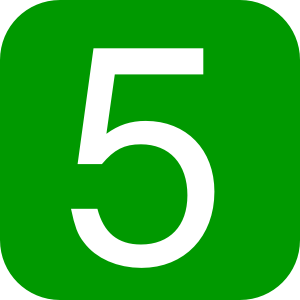 It consistently ranks 2 to 3 in terms of reader base. The news paper also has an online presence. The company is constantly improving its EBIDTA margin from 22.54% in FY13 to 31.89% in FY17. In the same period, the sales of the company have gone up from Rs 625 Crores to Rs 933 Crores signifying a CAGR of 10.5% p.a. 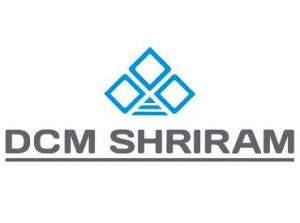 DCM Shriram is a conglomerate having varied interests ranging from Agri-Rural businesses (Urea, Sugar, etc) to UPVC Windows. The group revenues stand at Rs 6031 Crores for FY17 and while the revenue growth has been absent for the past few years, the businesses show promise of a turnaround with EBIDTA margins shooting up from 9.3% in FY13 to 13.59% in FY17. Many multibaggers of today were suffering from different problems in their businesses – High debt, negative cash from operations, etc. Stocks like Eicher Motors and Titan Industries were not always the bluest of blue chips that they are today. Inox Wind is suffering from some problems in business too! The sales have fallen by 26% to Rs 2,863 Crores in FY17 from Rs 3,897 Crores in FY16. The company has extremely high levels of receivables amounting to Rs 2005 Crores as per the FY17 Balance Sheet. Though this number has fallen from the FY16 amount of Rs 2,148 Crores; it still makes up 55% of the Assets of the company. While the company has little long term debt on its balance sheet, the short term debt or the working capital loans are alarmingly high resulting in increasing cost of interest. If, Inox Wind can manage its cash flows, i.e collect cash from debtors on time, the company will see lower interest costs due to reduced working capital requirements. The renewable energy business is here to stay for long but the balance sheet needs to be repaired. One metric investors should track is the debtor collection day. As of FY17, the company is able to collect cash from debtors once in 255 days. In FY14, this number was 148 days. Our firm had identified a turnaround story which benefited from Government’s increased focus on renewable energy and irrigation. 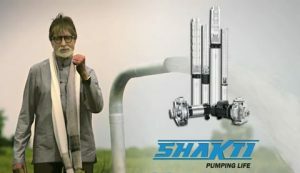 Shakti Pumps has given our investors close to 400% returns in a little more than a year. We focus a lot on research to generate 8 to 10 Multibagger recommendations for our clients.